In a world first, the creators of Vantablack, the super-black coating that holds the world record as the darkest substance made by man, have created the world’s darkest room ever to play Call of Duty®: Black Ops 4. A special version of Vantablack known as VBx2 has been applied to every wall of a unique gaming space as part of a one-of-a-kind, architectural experience for Call of Duty: Black Ops 4, launching globally on Friday, October 12th. 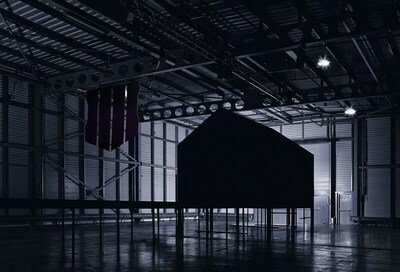 Dubbed the Black Ops House, this unique space in which practically all natural light is absorbed, creates an optical effect of playing the game within an endless Blackout. Both the internal and external structure of the Black Ops House have been coated in the VBx2 coating. People entering the Black Ops House first walk down an unsettling 40 metre-long raised platform as they approach the structure, creating the sense of walking into a pitch-black void. Sliding doors open to reveal a PlayStation4 Pro and monitor, immersing the player in the unique gameplay experience. Call of Duty: Black Ops 4 is published by Activision and developed by Treyarch with additional development support from Raven Software and PC development with Beenox. The title is scheduled for release on PlayStation 4, Xbox One and PC on October 12th. Black Ops 4 for the PC delivers a fully-optimized experience, which for the first time in Call of Duty’s history will be available exclusively on Battle.net, Blizzard Entertainment’s online gaming service. For more information and the latest intel check out: http://www.callofduty.com, http://www.youtube.com/callofduty and follow @CallofDuty and @Treyarch on Twitter, Instagram and Facebook. The game is rated M for Mature (Blood and Gore, Drug Reference, Intense Violence, Strong Language). Headquartered in Santa Monica, California, Activision is a leading global producer and publisher of interactive entertainment. Activision maintains operations throughout the world and is a division of Activision Blizzard, Inc. (NASDAQ: ATVI), an S&P 500 company. More information about Activision and its products can be found on the company’s website, http://www.activision.com or by following @Activision.